Every year, millions of prescriptions for opioids and opiates are given out to people going through surgery or recovering from serious injuries. These painkillers help manage the trauma of these medical emergencies and negate the potential of depression, anxiety, and other mental health issues by making it easier for a person to overcome health issues. Unfortunately, many of the individuals prescribed these medications may find themselves suddenly reliant on taking high levels of these drugs just to feel normal. 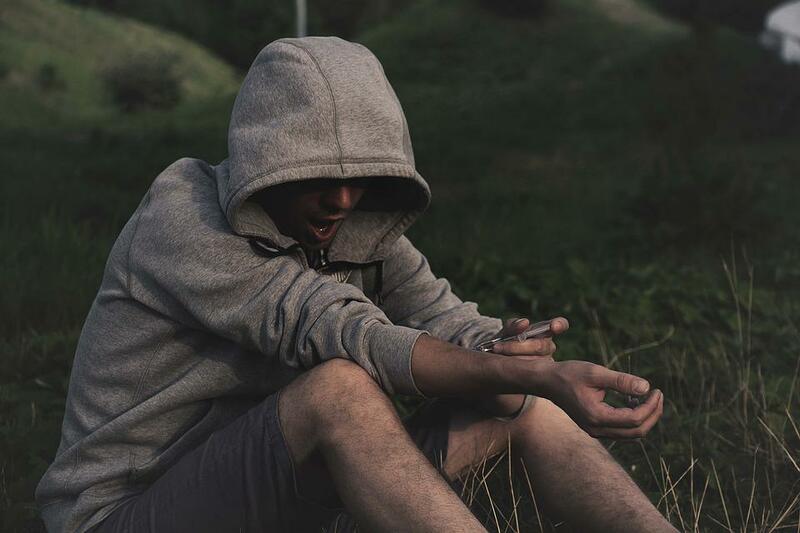 This type of dependency is a painful and dangerous situation and may lead to risk-taking activities, such as taking more opiates than usual and even breaking the law to get a prescription for these substances. Some might also turn to heroin or other drugs for relief. Therefore, anyone prescribed these types of painkillers needs to understand the potential risk of addiction and why it occurs. Just as importantly, they need to spot the symptoms of dependency and find a treatment method that works for their recovery. In this way, they can receive the best possible care for their substance abuse and overcome their reliance on potentially deadly painkillers. Although opiates and opioids provide a high-quality level of pain control that makes them very beneficial for a broad array of health problems. However, medical professionals have saturated the market in the past and over-prescribed these medications in ways that directly contribute to addiction. For example, a study of the statistics by the CDC found that a massive increase in opioids and prescriptions started around 2006. From this year to about 2012, the prescription rates of opiates was astronomical. Around 81.3 prescriptions were written per 100 persons, which is an astonishing rate. This level equated to about 255 million people being prescribed potentially-addictive substances. And while the prescription rate has dramatically fallen from 2012 to 2017 (at a rate of just under 59 prescriptions per 100 persons or 191 total opioid users) the rate is still surprisingly high for such a strong medication type. Unfortunately, the prescription rates mentioned above are national averages and not typical for specific states and counties. For example, it was found by the CDC in the same study that 16 percent of all US counties prescribed so many opiates that every person in that county could have one. Even worse, there are several states wherein the prescription rate for opioids is seven times higher than the national average, which is due to the differences in prescription strictness from state to state. And while the fact remains that a majority of individuals who use opiates don’t develop an addiction, many do, and this dependency can quickly spiral out of control. For example, a person who develops a dependence on prescription painkillers may find themselves running out of their prescription too fast and demanding more. Their doctor may refill their prescription or deny their claim, which may eventually lead to that person looking for illicit replacements. This change into illegal substance abuse doesn’t necessarily mean a sudden interest in heroin or substances like benzos like Xanax. In fact, many individuals who develop a reliance on prescription medications simply look to these medications for their fix rather than illegal – and potentially dangerous – substances. As a result, their addiction risk increases massively and may become a hazardous and inescapable reality. Just how dangerous is the potential for addiction with opiate painkillers? Well, a study by the National Institute on Drug Abuse found that the incidence of heroin use was almost 20 times higher in those who used opiate pain relievers than in those who did not. This abuse had primarily focused on non-medical applications for opioids, though a similar rate was found for those who had adequately used their prescription. This change is significant from past rates of abuse. For example, people in the 1960s. At this point in history, nearly 80 percent of all opiate addictions started with heroin, which was then the most common opiate available at the time. By contrast in the 2000s, almost 75 percent started opioid abuse through prescription medications. This near mirroring of the rates indicates just how problematic the prescription painkillers have become on the market. But why are these substances so much more popular as a “starter opiate” than heroin? Simply put, people who are less likely to break the law are more likely to abuse substances that they can get legally. These individuals might be the type who justify drinking substantial amounts of alcohol on the weekends because it is legal, in spite of the damage alcohol does to the body. Even worse, the high rates of opiate prescriptions indicate that the drugs are out there and that people are getting their hands on them. The ease of obtaining these prescription medications also makes them more popular than heroin. While heroin is often impure and cut with dangerous items by drug makers, prescription drugs have a cleaner and safer content. As a government-restricted medical manufacturer creates them, the opioids used are not as dangerous and often create a more potent high in users. For example, fentanyl is 50-100 times more potent than both morphine and heroin, which is why many people addicted to it never even try heroin. All of these complications create a considerable potential for substance abuse that typically requires a focused and streamlined effort to overcome. The first step in this process is fully understanding the symptoms of abuse and addiction. Doing so makes it easier for those in this position to understand whether or not they merely enjoy opioids or if they have developed a habit. This information can then help them gauge a proper treatment method for their issue. Substance abuse and addiction often sneak up on a person over a slow period. For example, someone may just take their prescribed amount of opiate painkillers to manage complications with surgical recovery. However, other individuals may start increasing the amount that they take on a daily basis and slowly develop a dependency that feels like it comes out of nowhere and which traps them in an addictive cycle. As a result, the symptoms of substance abuse and dependency often seem like normal patterns of prescription medication use until a person tries to quit. Suddenly, they find that they cannot live without their substance and need higher doses of it than average to feel happy. Even worse, some individuals – because their prescription drugs were given to them by a doctor – may believe that their substance abuse is regular and justify it to themselves and others. However, addictions to legal substances like benzodiazepines or illegal drugs like methamphetamine aren’t different because one drug is legal and the other is not. Unfortunately, drug abuse of any time triggers the same kinds of symptoms from one person to the next, which is why anyone who takes prescription medications for pain needs to fully understand the signs of addiction and what they can do to spot them in others. These symptoms, as described by the Mayo Clinic, vary depending on the type of drug abused. For example, those who use stimulants like methamphetamine often experience tooth loss, excessive energy, mood swings, bursts of anger, and sudden crashes when the drug wears out. By contrast, prescription opiates trigger a multitude of other symptoms that occur whenever an individual abuses opioids, whether they are prescription-based or illicit like heroin. For example, the excessive use of opiate-based painkillers triggers severe constipation that may last for days at a time. Abuse also triggers nausea and drowsiness, particularly when opioids are used at high levels. Even worse, individuals who become dependent on these substances are also likely to find that they need higher levels of their prescription to achieve the same effects. As a result, overdoses and other dangerous or illegal activities may occur. Unfortunately, many individuals who suffer from opiate addiction begin committing crimes to get their prescription. These crimes don’t have to be violent to be problematic. For example, some individuals may forge prescriptions or go prescription hunting. This behavior is well explored in William S. Burrough’s seminal addiction text, “Junky,” in which he describes the way he and his addicted friends moved from doctor to doctor to find opiate prescriptions to take the edge off their heroin dependence. Beyond this interesting factor in this book, Burroughs also pondered why some individuals were prone to substance abuse while others were not. He confesses that he wasn’t immediately addicted to heroin but drawn to it repeatedly due to its positive effects. Eventually, he developed an addiction he fought for the rest of his very long life. So what factors increase a person’s potential for dependency on opioids? This last factor simply cannot be emphasized enough. For example, a study by Harvard University found that legal sources of prescription medicines were, by far, the most abused routes towards substance abuse. For example, just 0.4 percent of all suffering from addictive behaviors used an internet vendor while five percent used a dealer or stranger. By contrast, 18 percent of people who abused painkillers got them from their doctor using a prescription while a staggering 70 percent got drugs from family and friends. Of this 70 percent, only five percent stole substances from family members. A slightly higher 10 percent purchased substances from these sources while a surprising 55 percent got them for absolutely free. Those statistics reveal one of the most potent influences on prescription drug abuse: the kindness of family and friends. These individuals see that their loved one is suffering from a problem – perhaps not fully understanding the extent of their loved one’s drug problem – and just give them their prescription drug to “help” them. These actions are understandable but are devastating entire generations of individuals. Thankfully, the treatment for addiction recovery has become even better over the decades and provides individuals with the best chance of recovery from their drug dependence. Of these treatment options, dual-diagnosis delivers the most potent and successful way of overcoming substance abuse. But why? Anyone suffering from a severe reliance on opiates, opioids, benzos, or other types of drugs need to get treatment for their issues in a high-quality dual-diagnosis treatment facility. Dual-diagnosis is an intriguing care option that works on every element of drug abuse to manage a person’s dependency. For example, the physical aspects are handled with detox and the 12 step rehab program, as this type of care helps an individual ease through the demands of withdrawal with grace and ease. However, the most crucial part of dual-diagnosis rehab is the ways that it improves a person’s mental health. Typically, people with an addiction to any substance have developed what doctors call a co-occurring disorder. This label indicates an abuse problem that occurs concurrently with real emotional issues. For example, someone with PTSD after a car accident may appreciate the calming effects of their painkillers and come to rely on them for their mental health. Unfortunately, problems like anxiety, depression, and PTSD caused by multiple types of trauma make substance abuse a more difficult-to-manage situation. Thankfully, the dual-diagnosis can help individuals get to the root of their addiction and root it out at the source. Treatment methods such as psychological counseling, group sessions, family therapy, and behavior modification – with cognitive or dialectical behavioral therapy – help to slowly – but surely – adjust a person’s addictive patterns of behavior. In this way, individuals who started out using prescription medications for their pain can overcome their addiction and regain a happy and healthy life. So please don’t hesitate to contact us as soon as possible to learn more about how we can help you recover a sober lifestyle. Our professionals fully understand how to utilize dual-diagnosis and will work hard to ensure that you are not only physically cured of your disease but free of PTSD, anxiety, and depression. Furthermore, our professionals can also help improve your dietary needs and fight off undernourishment and other pressing issues. Simply put, working with us and our dual-diagnosis care provides you with the best chance of overcoming a reliance on painkillers and other opioids. So please, please, call us now to set up an initial appointment. We promise that we will fight for your health and your lif e and match your intensity and dedication with ours.